Stay ahead of the heat. The best time to have your air conditioning system serviced is before the cooling season begins or before any problems develop. When you're relaxing in a cool, climate-controlled home with plenty of power, it's easy to forget just how hard your heating and air conditioning systems work throughout the year. Without regular maintenance, the wear and tear of day-to-day operations can lead to expensive problems and a decline in the performance of your air conditioner. It’s smart to schedule AC system service before the hot weather begins, or before you detect any problems with your air conditioning system. At Logan Home Energy Services, we believe the best approach to AC repairs is prevention, and we offer affordable maintenance agreements to keep your home in good hands. 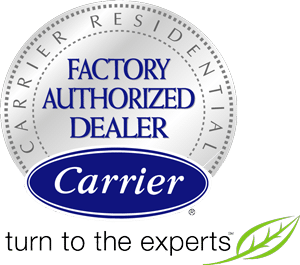 Our experienced HVAC technicians at Logan Home Energy Services are licensed and certified to service all air conditioner makes and models. Contact us today to schedule an appointment for an air conditioning tune-up. We serve customers in Winston Salem, Greensboro, High Point and many areas of North Carolina. Test starting capabilities and safety controls. Check refrigerant levels and test for leaks. Measure airflow through evaporator coil and clean if accessible. Inspect electrical wires, clean terminals and tighten connections if necessary. Check belts for wear and tighten or replace if necessary. Oil air conditioner motors and lubricate all moving parts. Check thermostat sensor and adjust thermostat calibration. Check pump operation and loop pressure (PSI). Clean and adjust blower components. If you are having problems with your existing HVAC system or would like to optimize a new system, consider some of the service packages we provide at Logan Home Energy Services. Our Quiet Package. Vibration eliminators, canvas duct connectors as required, insulated air return(s), cross-break sheet metal, install turning vanes where needed. Exclusive Even Air Flow Package. Install balancing dampers, set/check cooling air volume, set/check heating air volume, (optional) install new double deflection diffusers, (optional) install new return air grills. Our Energy Saving Package. Use 15% silver brazing rod, evacuate system, complete system leak check before start-up, charge to manufacturer's recommendations, insulate suction line, perform certified start-up, provide efficiency analysis upon completion. Safety-First Electrical Package. Use only copper wire, only sunlight resistant wire ties, new low voltage wiring as needed, mark HVAC circuit breakers. Our Reliability Package. Install new condensate drain system as required, refrigerant removal per federal guidelines, provide customer training, provide completion certificate. Exclusive Air Quality Package. Caulk with lifetime duct sealant, install filter change schedule, (optional) high-efficiency air purification system, (optional) easy-change filter grill(s). If your air conditioner requires more than just the regular maintenance, Logan Home Energy Services has a team of certified service technicians who can help. Our experts will inspect your air conditioning system and fix any issues before they become costly problems. Call us at 1-844-385-9758 to set up an appointment today! We provide air conditioning maintenance and services to residents of Greensboro, Winston Salem, High Point, Clemmons, Kernersville, Pfafftown, Lewisville, Walkertown, Colfax, Oak Ridge and nearby.